1. Lately, I have been obsessed with tabletop decor. It must be something about the crisp fall weather that just gets me in the mood. 2. 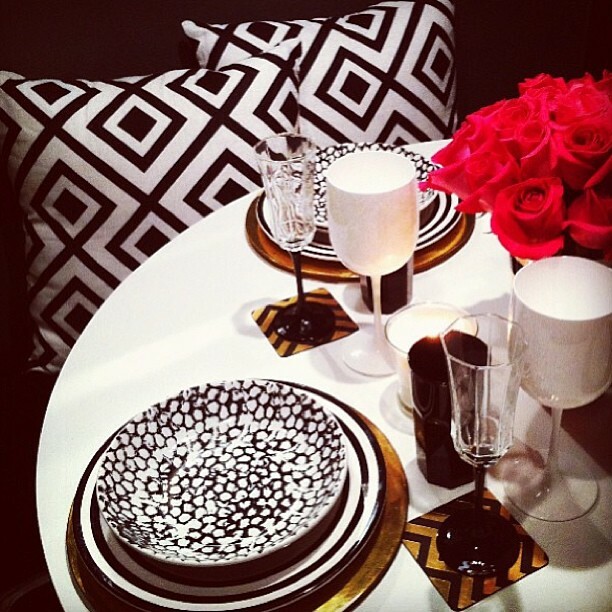 To finish off this perfect dinner table, wouldn't the black beauties be perfection. I found these at a local thrift auction house and I am dying to get my hands on them. 3. Wouldn't you think these little flamingo salt and pepper shakers be the final little pink touch on the dining table? I am obsessed with these adorable little things. You can get a pair here. 4. 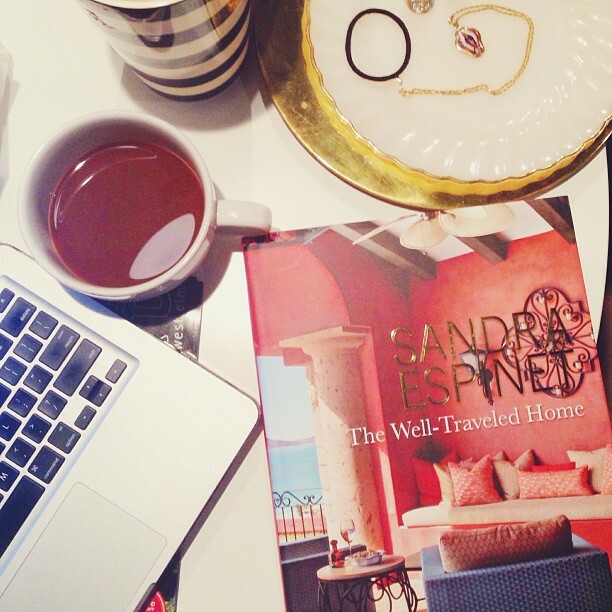 I got so inspired this week reading The Well- Traveled Home by Sandra Espinet. Gorgeous decor + exotic travel, two of my very favorite things. 5. I've had several meetings this week and all happened to be at Le Pain Quotidien, my favorite little place to grab a bite. Love this place. 6. I love this shot of my living room. As much as I am all for layers and color, something about the simplicity just makes me happy. 7. 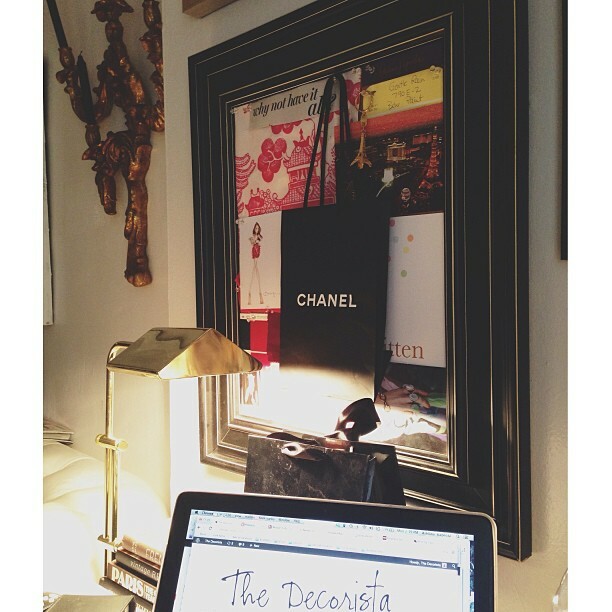 I am so excited to finally tell you guys about my @thedoorsofnewyork art collection. I finally got my preview prints sent in and they look fantastic. Coming soon to the site and you can get yours to accentuate your home decor art wall. 8. Which means I have been working lots of late nights...but in this little office area makes it so enjoyable. 9. 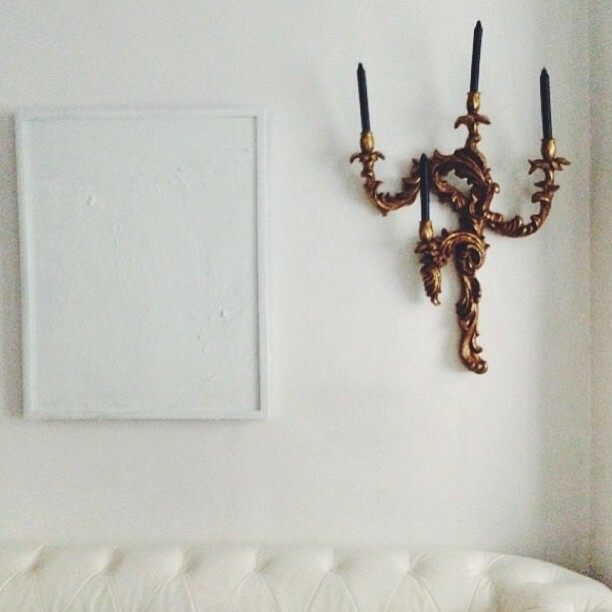 Busts like this are the perfect addition to any vignette. I can use these in almost any home. Its such a sophisticated little look. 10. 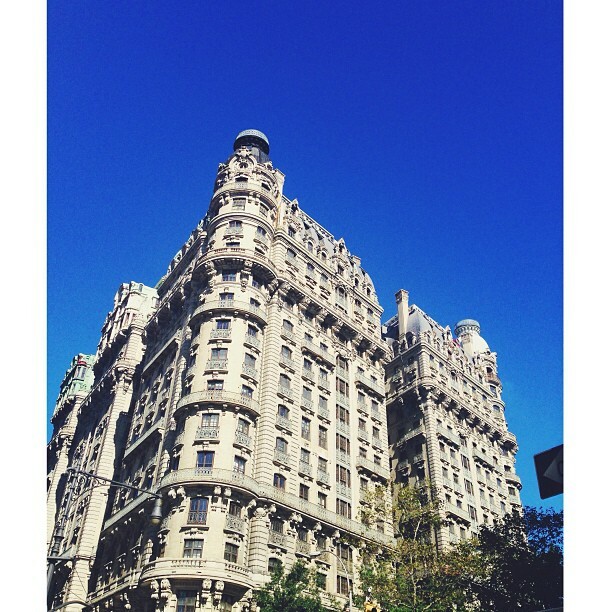 My favorite building on the Upper West Side. The weather has been gorgeous and so before I leave for Texas, had to spend some time enjoy the magic of this building.